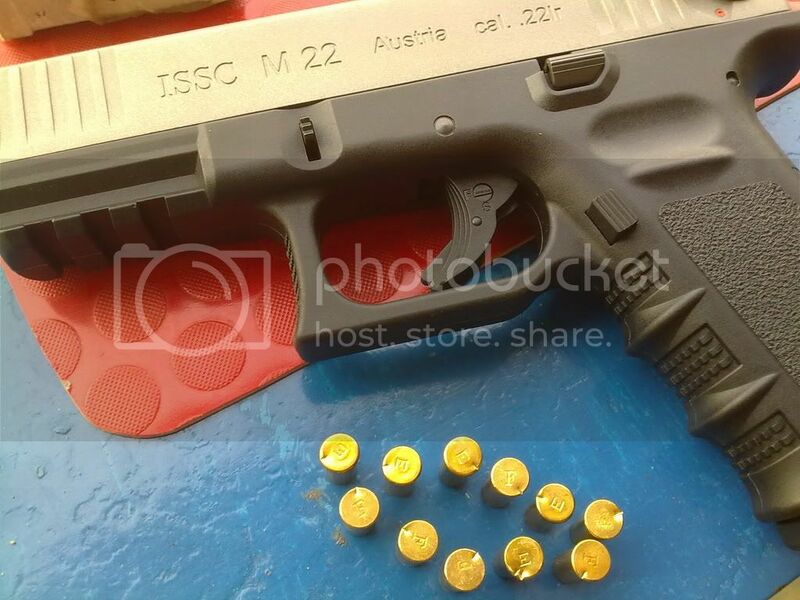 For a quite a while the ISSC Glock 19 lookalike M22 had been tantalizing us all with it's build quality, Glock heritage, 'Made in Austria' stamp and light weight. I had been looking for a chance to review one but did not know anyone who owned one. Today a friend lent me his new M22 to test to my desire and satisfaction ! As this is not a major item and is mostly a curio, I will keep the review short. 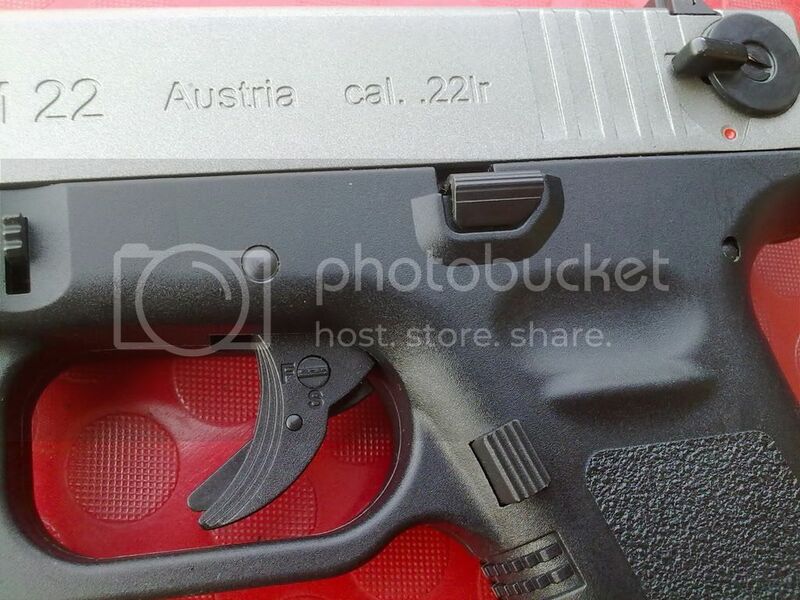 The pistol feels really nice to hold, the grip angle is good, the finish is clean. 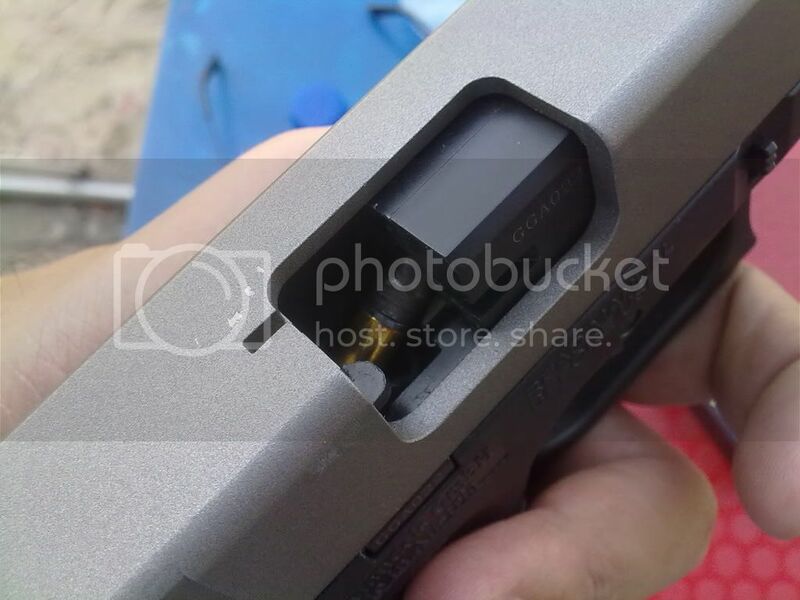 Very pointable, sights are Glock like, the trigger is identical to Glock's 'Safe Action' and functions fine. The pull is not crisp and very average. Disassembly seems Glock like as well but I could not get it open (to be fair did not read the manual, was in a hurry to test it). In all you feel like you're handling a quality pistol and it will shoot the crap out of everything. Well, that's where the good news ends, it doesn't. It simply fails to perform. I started the test with three different types of ammo. 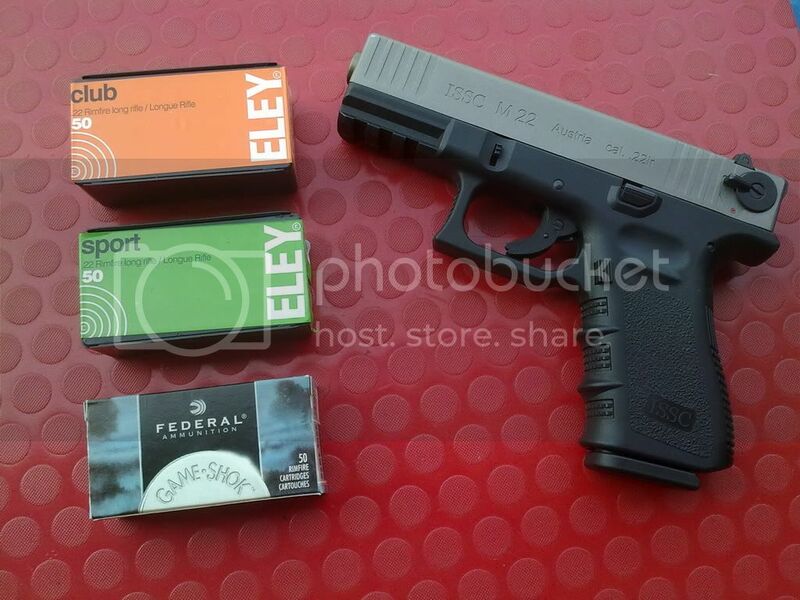 Eley Club, Eley Sport, Armscor (not pictured) and Federal GameShok. All misfired without exception. In firing about 100 rounds or 10 ten mags, not one was without FTF or FTE. Often I had to use a flat screwdriver to pull empty shells stuck in the barrel a few times as well. 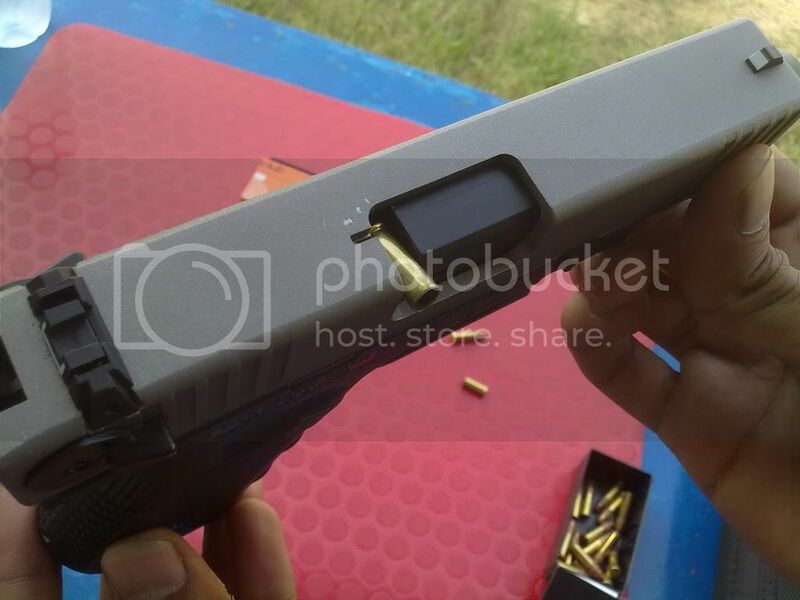 The firing pin strikes were haywire and not consistent at all. The ISSC was a big disappointment for me as I was expecting it to work well and certainly much better than my Akdal Mini 06. Compared the Mini06 would win in about every department, size, concealment, accuracy, reliability, beauty and price. It started retailing for around 70 K but is now selling for a final price of 45 K.
On the above target I was aiming dead center. The shots all landed wherever they felt like I thought perhaps I was having a bad day and borrowed two shots from Starfish's 9mm Zigana who was shooting at the next table. Both landed in 10 as can be seen on the target. Picked up the ISSC again and got the same wild shots again. 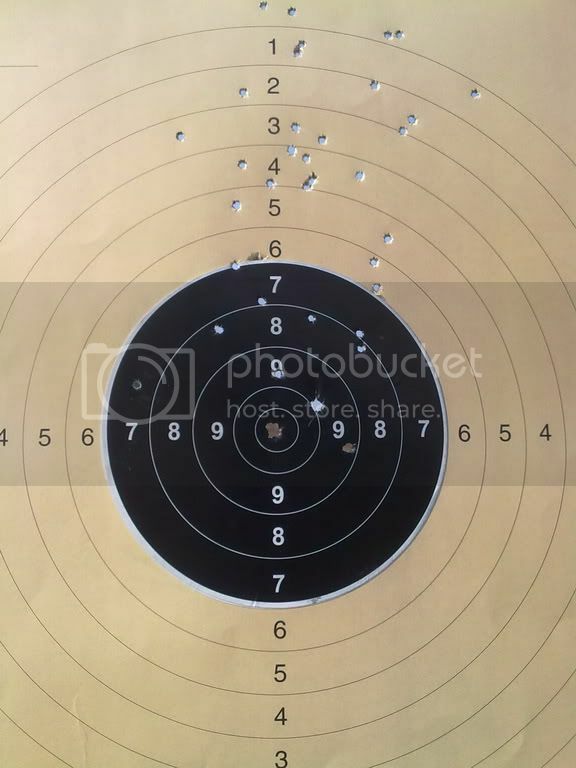 I thought perhaps the pistol did not fit my hand, called another good shooter, he fired 5 shots on the same target and his landed the same as mine, wild.